Stretch tents and Bedouin Tents are great for outdoor events where shade and elegance is required, as well as easy accessibility from all points of your venue. While still protecting you from some weather elements, these are a great option when you still wish to keep the outdoor feel. Stretch tents require minimal décor and have a great free-standing look to them. With a Cozi Hire stretch tent, there are no limits. From the size, height, and colour (the sky is the limit). Cozi Hires stretch tents are manufactured from a two-ply coated fabric material which means they are cooler than older stretch tent fabrics. These tents can be erected anywhere with minimum time required for set up. Contact Cozi Hire today to see what our stretch tent range can do for your upcoming events. What can stretch tents offer me? Alongside buildings, planted on patios and even fit to free stand on the beach, stretch tents and Bedouin tents are incredibly versatile and suitable for almost any area. With natural looking waterproof fabrics that are available in a variety of colours, these tents require minimal decor as they are already aesthetically pleasing. 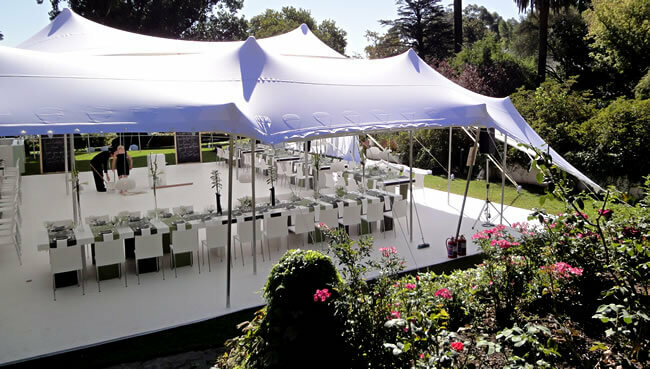 From a canopy for a wedding reception to a seated wine and dine dinner, they offer weather protection from sun and rain without compromising the outdoor feeling. With quick set up and removal, Bedouin tents can be erected practically anywhere. These stretch tents and Bedouin tents are new generation tents and are manufactured from block out fabric which means they are cooler than the older generation. View our Bedouin and stretch tent gallery for events which we have covered. Request a Quote for a Stretch Tent or Bedouin Tent for your upcoming event or allow us to answer any questions you might have. Make a selection below.